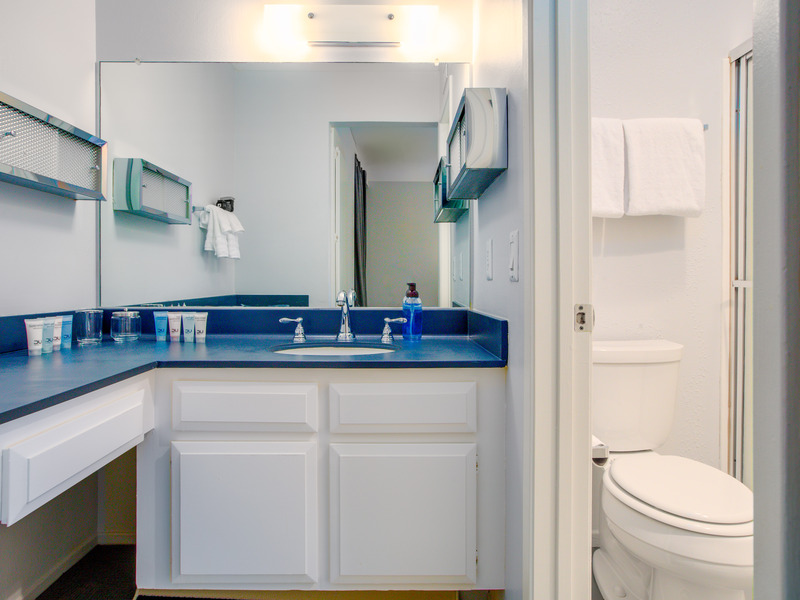 **29 NIGHT MINIMUM STAY REQUIRED** **PRIMARY RENTER MUST BE AT LEAST 25 YEARS OF AGE** No Pets Allowed. Gorgeous remodel of this spacious 2 bedroom / 2 bath executive Villa at Biltmore Phase 1 (circa 1973). Fabulous new kitchen and baths. 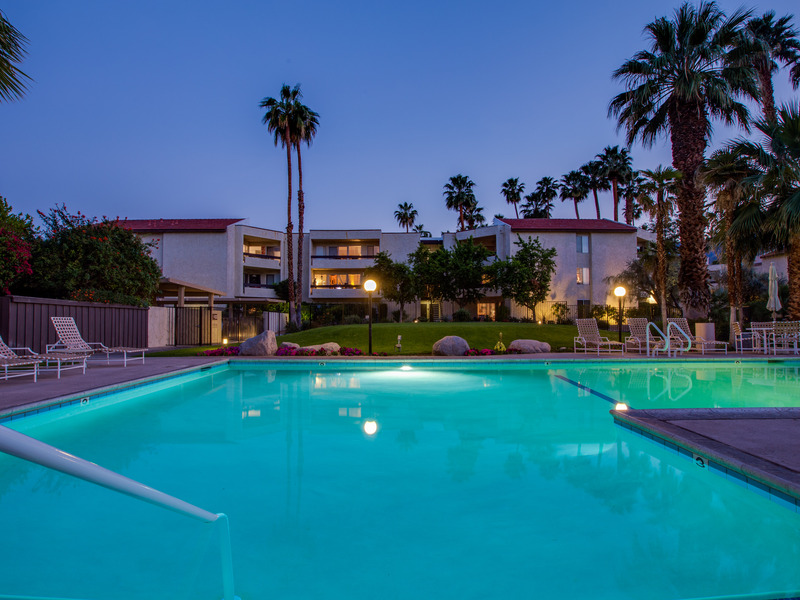 Great Location in walking distance to the world famous Palm Canyon Drive. Friendly condo community with a great mix of full time and seasonal residents. The property owners often use this villa for their own enjoyment, so you know it is well maintained, impeccably clean and fully stocked - just like home but way way better! 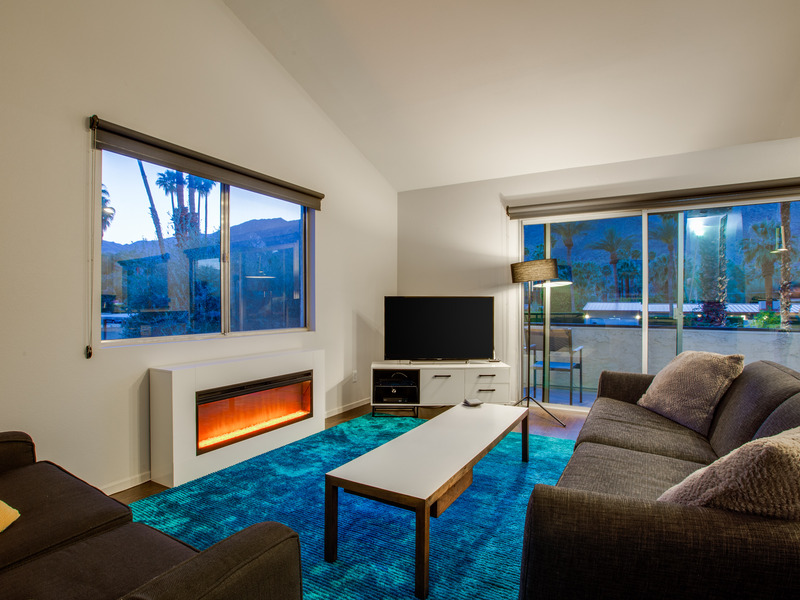 Contemporary flair meets laid back California-style to create this very comfortable, livable Palm Springs getaway. Bright, light, open concept floor plan with lots of windows to let the sunshine in ---- and easy access to the balcony with views of the swaying palm trees gorgeous mountains. Designed with comfort in mind, there is enough space for you and your group to relax in the spacious living room with its ample seating and flat screen television. There is an adjacent dining area and the well-stocked and updated kitchen has been space planned for both individual and team meal prep. 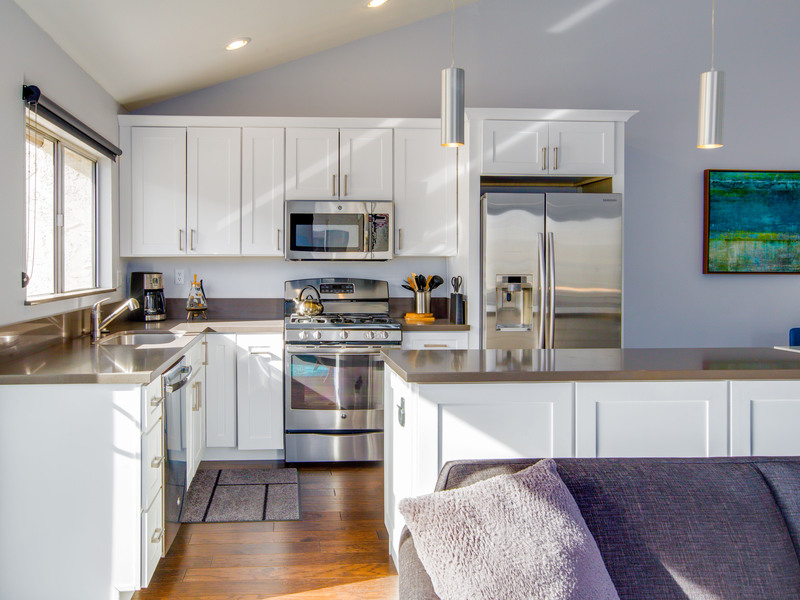 New stainless steel appliances and gleaming quartz counter tops and lots of cabinets make this a chef's delight. 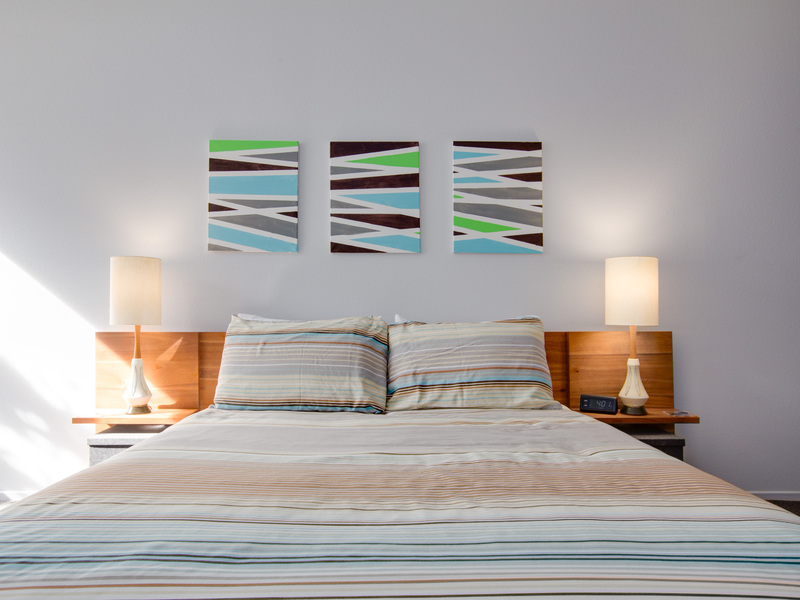 Both of the bedrooms have been designed for comfort and relaxation. 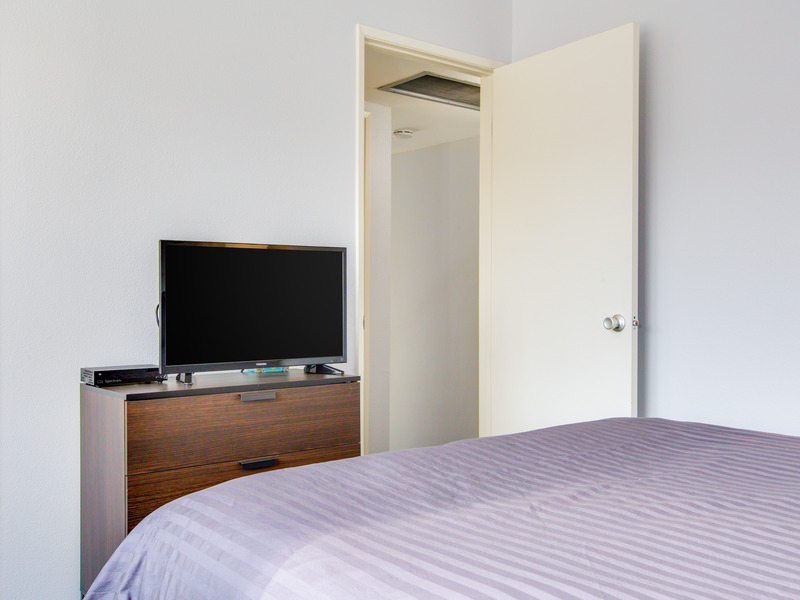 Each has hospitality quality mattresses, ample storage space, and a flat screen television. The master has a Queen-sized bed and a private en suite bath. 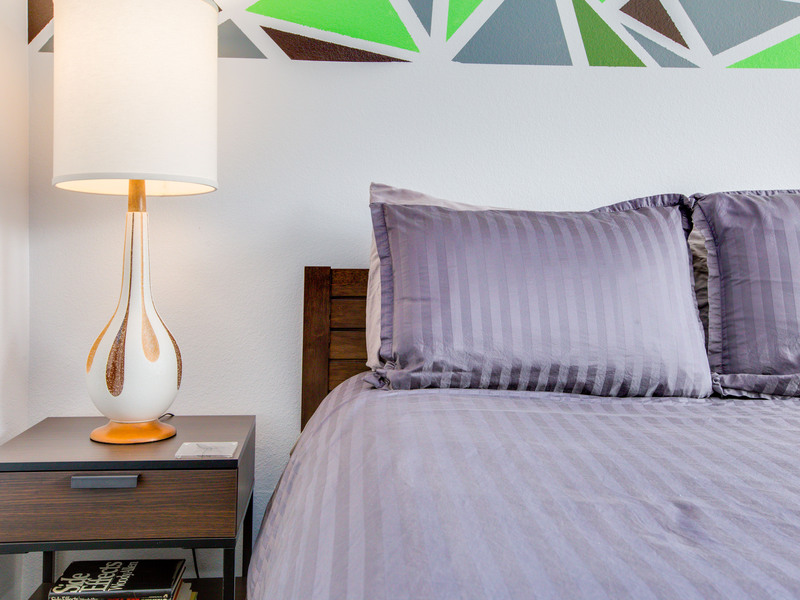 You'll find a Queen size bed in the guest bedroom. 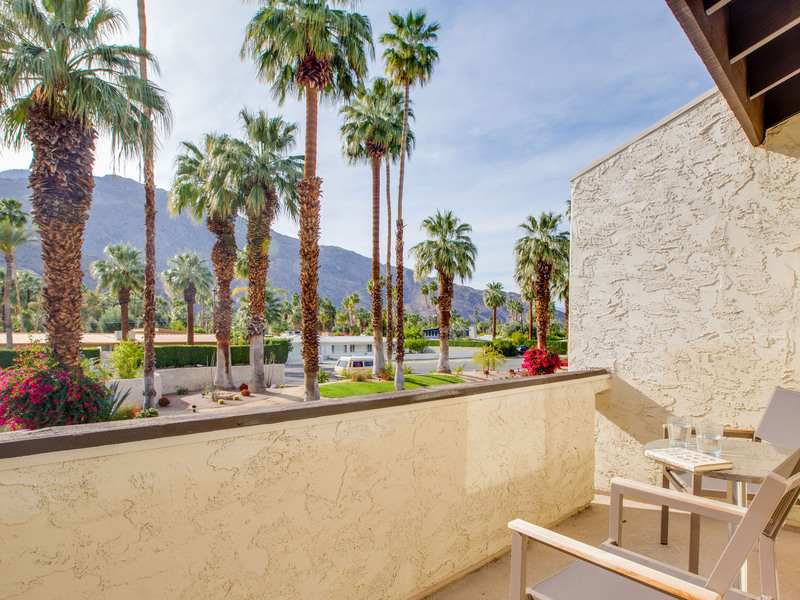 Originally built in the early 70s - this community has been part of the Palm Springs Scene for more than 40 years. The grounds are beautifully landscaped and the mountain views are stunning. 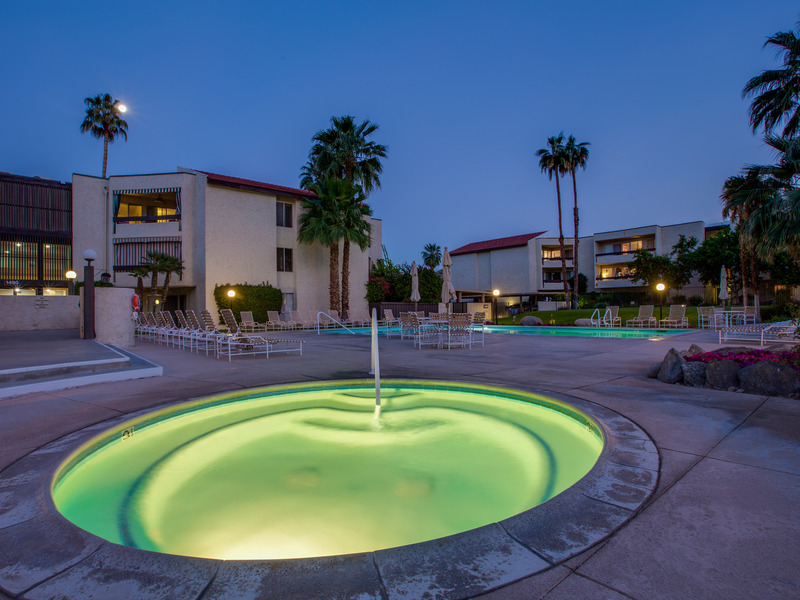 There is a very friendly mix of permanent year round residents and seasonal renters who gather round the community pool and spa, enjoying the sunshine and the quiet peaceful vibe. The Biltmore Phase I community is located on a quiet residential street in the Tahquitz River Estates neighborhood of Palm Springs. 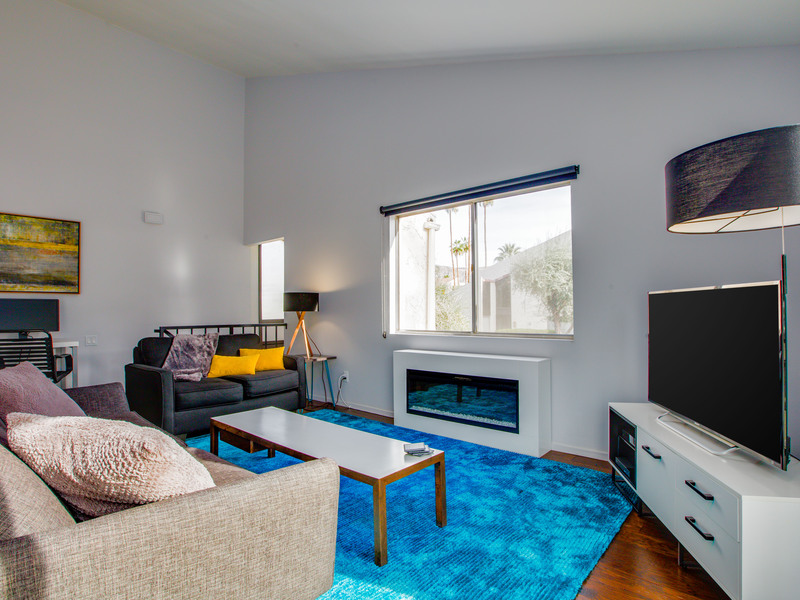 Guests at this property will enjoy an easy walking distance to the world famous Palm Canyon Drive where you will find shops, restaurants, and hot-spots like the famous Ace hotel or Purple Room Lounge. 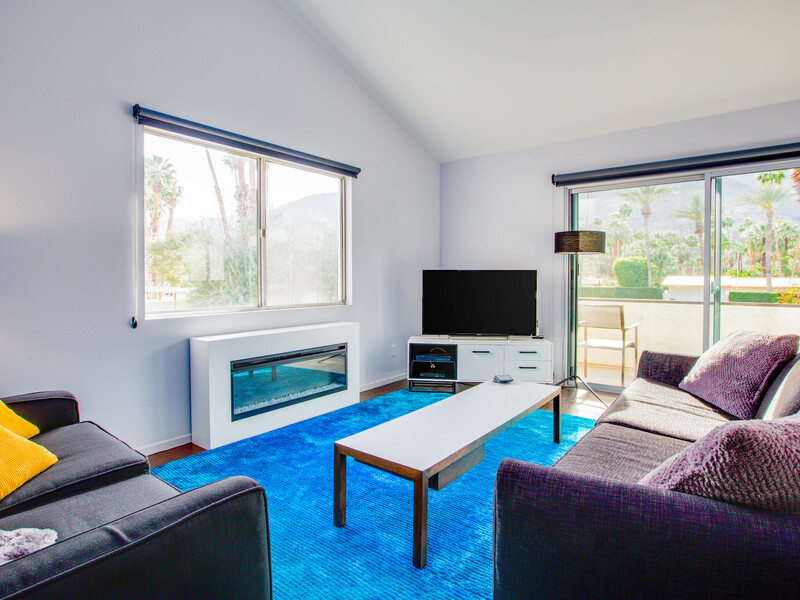 Additionally, guests also take advantage of the nearby golf courses, community tennis courts, and local hiking trails that make this home the perfect Palm Springs getaway. Optional concierge services including daily maid service, poolside massage, pre-arrival grocery stocking and private chef are available with three weeks prior notice. 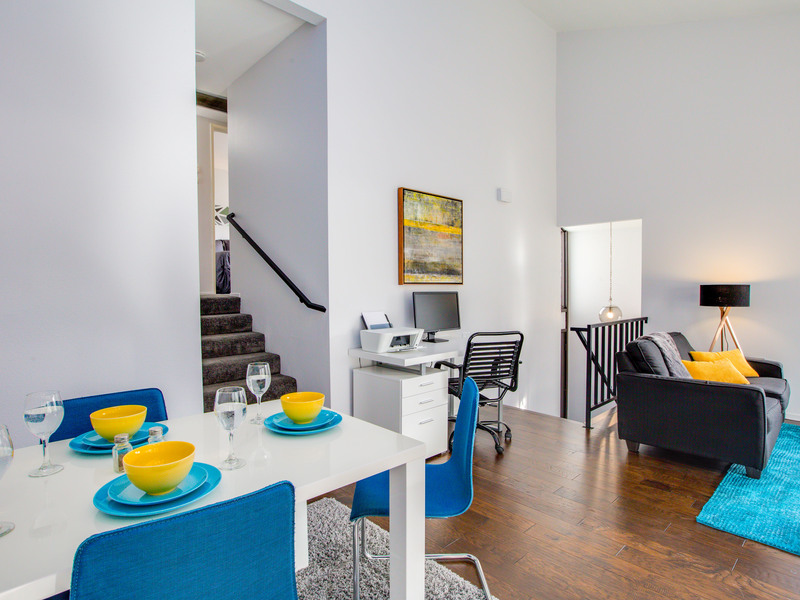 Now taking reservations for monthly and seasonal stays. 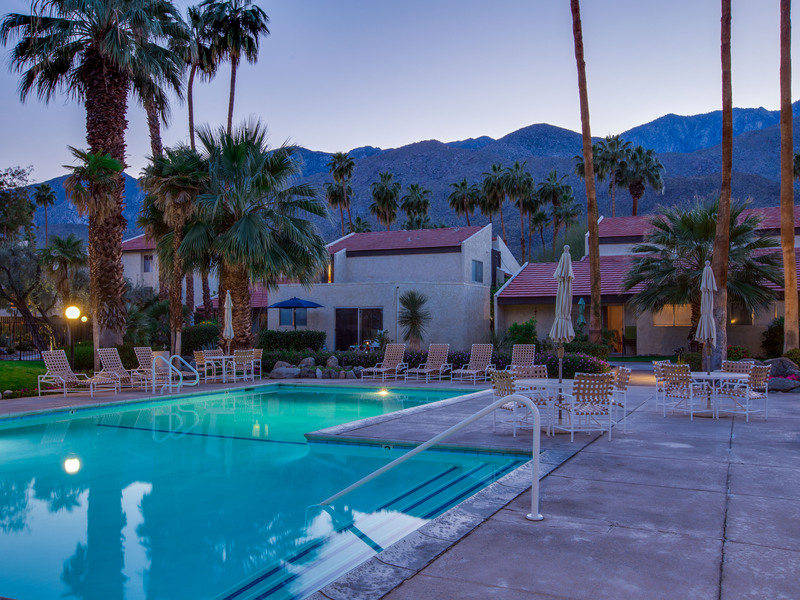 "Great place to stay in Palm Springs! Lovely unit, tastefully decorated, beautiful view from balcony, and thoughtful owners who even provided tennis rackets for our use and pleasure. Definitely coming back!" "Awesome sunset views of the mountains off the front balcony. Best part of the day! 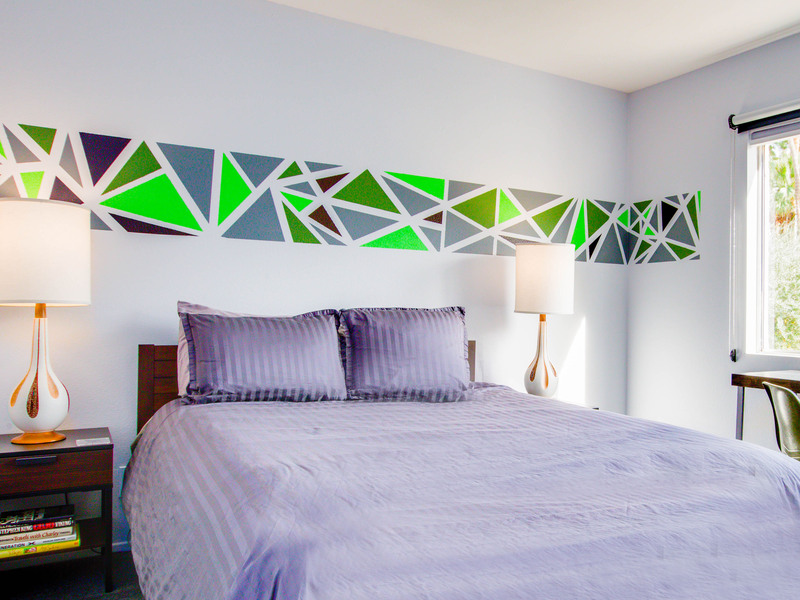 Modern decor and very relaxing style of furnishings and colors. The entire property is quiet and tranquil. "